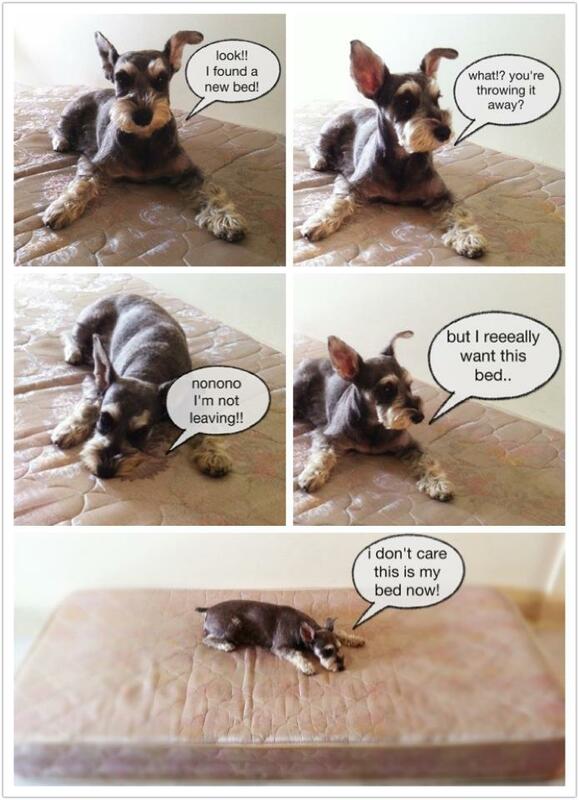 Really like how my sister created this comic strip with Mickey our dog, and captioned it. Sharing it with you guys! It's a dog's life.